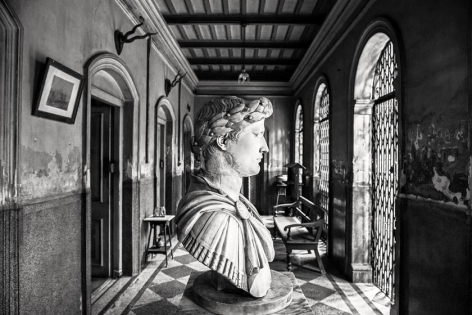 Indian-born photographer Prabir Purkayastha debuts a new collection of large-scale black-and-white photographs documenting the fading colonial architecture of Calcutta, once Asia’s most cosmopolitan city. 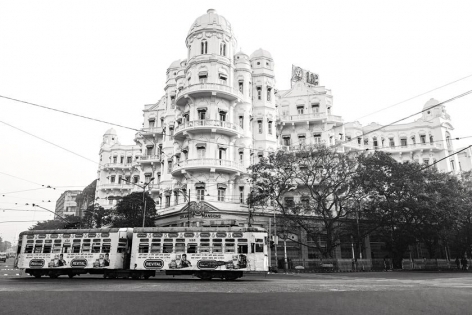 The project began in 2006, when Purkayastha, who was traveling through the city, was struck by the dwindling Jewish, Chinese, Armenian, Parsi and Anglo-Indian communities that once populated—and helped build—Calcutta. Awed by the crumbling facades of the buildings associated with these ethnic groups, Purkayastha returned in 2007 to photograph them. The project grew in scope, eventually encompassing not only the architecture of these fading minority communities, but also much of the city’s British colonial architecture, both grand and humble. 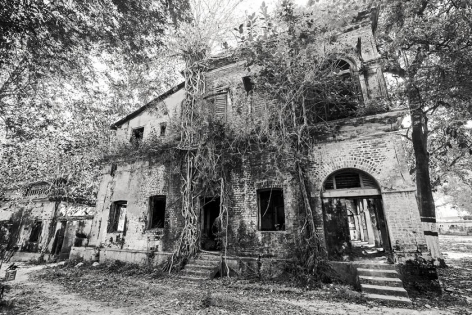 Many of the buildings documented are in various states of disrepair—some are crumbling, abandoned or illegally occupied—while others still function, albeit in reduced roles, such as the magnificent 150-year-old mansion once occupied by the 19th century philanthropist Rani Rashmoni, now a municipal office. The photographs lay bare the formidable preservation challenges facing the city. The Magen David Synagogue built in 1884, for example, which no longer has a congregation, is maintained only by a handful of elderly devotees. The story of Calcutta began in 1690, when Job Charnock of London’s famed East India Company landed on the banks of the Hooghly River. It was an ideal location for a British trading post and Calcutta soon became a thriving center of commerce and culture, attracting merchants and laborers from India and abroad. 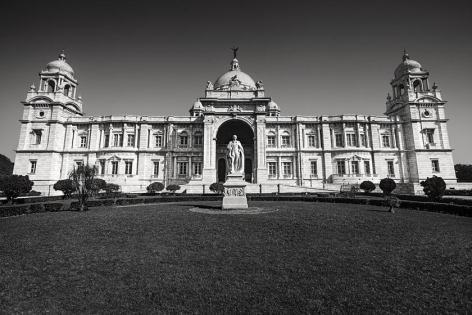 By the mid 19th century, Calcutta was the capital of British India and its prominence was reflected in the opulent buildings that began to punctuate the city. 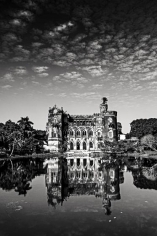 At the same time, native feudal lords, wealthy merchants and the Bengali elite were also erecting their own grand villas along with government, commercial and religious buildings, all of which earned Calcutta the nickname "City of Palaces." The new architecture reflected the city’s diversity, incorporating both Western and Eastern influences and merging European styles—Gothic, Baroque, neoclassical and Art Nouveau—with traditional Hindu, Moorish and Islamic architectural details. 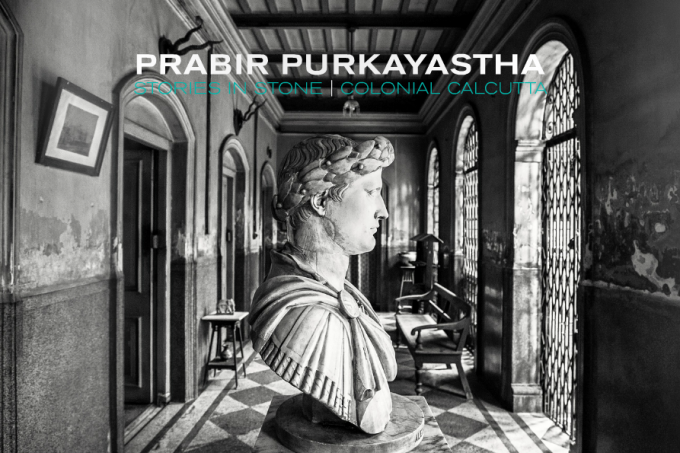 The end of the British Raj brought an end to the city’s meteoric urban development and what remains today, and what Prabir Purkayastha has captured in his photographs, are the hauntingly beautiful remnants of Calcutta’s storied past—a history set in stone and mortar. Award-winning photographer Prabir Purkayastha was born in Central India in 1952. 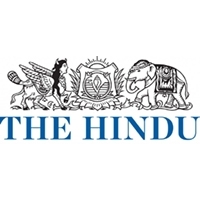 After graduating from the University of Delhi he worked in Thailand as a journalist. Purkayastha returned to India in 1980, becoming one of the country’s leading advertising practitioners in agency management and creative campaigns. He began taking photographs in earnest in the late 1980s, primarily in Indochina and India, including in Ladakh, Rajasthan, Assam, and now, Calcutta. During the past decade, Purkayastha has exhibited his work in New York, Chicago, Katonah, Los Angeles, London, Cologne, New Delhi, Calcutta and Mumbai. He works both digitally and in film and describes himself as a cross between a storyteller and sociocultural anthropologist. He's based in Delhi. 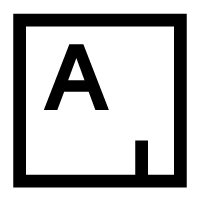 Prabir Purkayastha’s exhibition Aksaha (2002) received the Habitat Award for Best Photography Exhibition and in 2003 his InterGlobe calendar took top prize at the SAPPI Asian Awards for Printing. In 2005 and 2007, he was invited to speak at the Rubin Museum of Art, New York, about his wall-mural photographs of the ancient Ladakhi monasteries. In 2009, he was nominated for the international Prix Pictet Award and was selected as one of the Super Six Photographers by Fuji Film, India. Purkayastha’s work is in numerous private and corporate collections and has been featured in international magazines and newspapers including Black & White magazine, Silvershotz and ARTnews. His critically acclaimed book Ladakh (Prestel Publishing, 2005) won several awards, including Book of the Month, from Better Photography, UK; the Black & White Photography Magazine Spotlight Award; the Gold Medal from the All India Federation of Master Printers; and the Silver Medal from SAAPI, Jakarta, in 2006. His second book, which focuses on Assam, is slated for publication later this year. For more information, please email gallery@sundaramtagore.com or call 212-677-4520. Indian-born photographer Prabir Purkayastha tells a compelling story of a city's history through his lens. 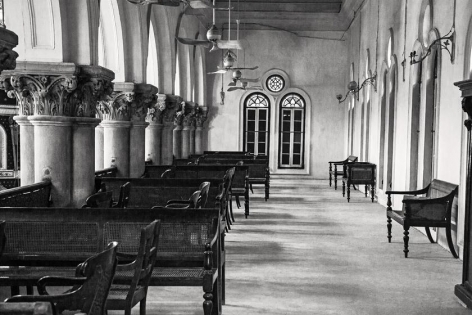 Taking note as the city's historical facades fell into decay, Indian-born photographer Prabir Purkayastha took up his camera to document the city's remaining colonial architecture.